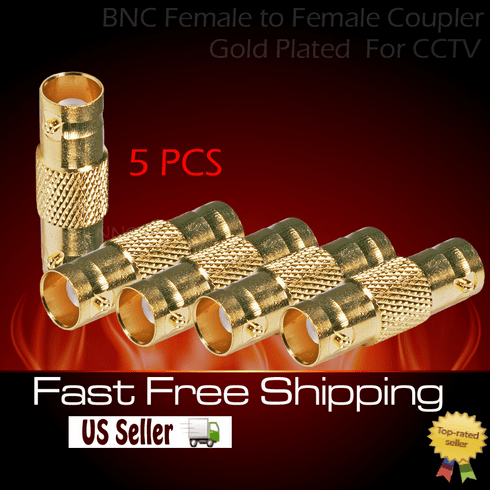 • This BNC Male to RCA Female Adaptor - Gold Plated offers premium quality, gold plated coaxial connector adapters for every situation. All of our adapters feature solid connectors that provide secure connections. Each of these are rated to smoothly transfer 75ohm signals. This is a female to female BNC coupler for connecting together to male twist lock BNC ends. Great for connection two BNC cables together. EACH ORDER come with 5pcs adapter.